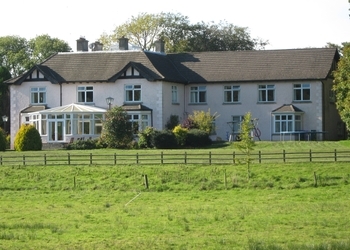 Home of the Thomas family - is a large, well built and spacious country residence standing in a beautiful situation and surrounded by our 80 acre farm. The house overlooks the new Shannon-Erne Waterway, which borders our farm for over half a mile, and is beside Aghoo Lock. After a relaxing, comfortable evening and a hearty breakfast, you are now ready to explore the local amenities or relax by the pool, or if you're feeling plenty of energy theres always the gym. Raymond and Violet, your hosts, will be pleased to help plan itineraries to the many Local Facilities in the area. All rooms have splendid views and are furnished for a comfortable and relaxing stay. All of our ten bedrooms are en-suite, the house is centrally heated throughout, and both the lounge and sitting rooms have open fires.